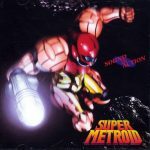 Before the review proper, I’d like to take a moment to clear up a few things about the Super Metroid – Sound In Action soundtrack CD. First, it’s a Japanese item, and was not available in a North American or European version (in fact, some Nintendo of America employees are not even aware of the CD’s existence, so I’ve been told). Secondly, SIA has been out of print since 1996. And when Japanese CDs go out of print, they become extremely difficult to obtain. Unfortunately, I can’t recommend any place to order or purchase an original copy of SIA, unless you have access to CD shops in Japan — and even then it’ll probably require a search. (Previously, I had recommended The Place as a source for SIA, since that’s where I found my copy around 1996 or ’97; however, not only does The Place no longer have any copies of the CD, but they have since proven to be the absolute WORST mail-order service I have ever had the severe displeasure of dealing with. Mercifully, they have, as of this writing, announced that they are closing down.) And finally, I cannot fulfill requests to make copies of my SIA CD for anyone — I’ve been asked countless times and if I complied, I’d be spending far too much time burning CDs and sending them to people. Sorry! This CD contains 38 tracks (see list to the right): Five arranged tracks (“arranged” meaning performed on instruments rather than taken from the game itself), nine BGM (background music) tracks from the Famicom version of Metroid, and the remainder are BGM tracks directly from the Super Metroid game. 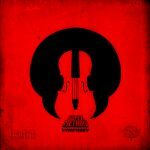 The arranged tracks are very well done, although they are performed on keyboards with an orchestral arrangement rather than with an actual orchestra. Still, the four Super Metroid themes and the original Metroid ending theme never sounded so full and energetic. As for the Super Metroid BGM, they sound just like what you’re used to hearing from playing the game itself. Track 16 — “Theme of Super Metroid,” which is heard in the game as Samus is recounting her adventures leading up to Super Metroid — even omits the “typing text” sound so you can listen to the music in all its pure glory. Of course the BGM music is great stuff, but the first five arranged tracks are really what make this disc stand out. The total exclusion of Metroid II music is something of a disappointment, but what is on the Sound In Action CD is definitely a testament to the aural brilliance that accompanied us on our first and third adventures with Samus Aran. And let me just say that this album is incredibly ambient, the long tracks wearing you down in the crushing, ominous undertones of Super Metroid’s atmosphere. In fact, the music is quite reminiscent of Metroid Prime’s soundtrack, only more minimal and much darker, particularly the Crateria Raining mix starting at about four minutes into The Galaxy Is in Captivity. 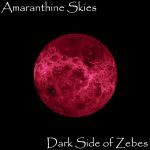 Where The Dark Side of Zebes is minimal it isn’t what I call ‘environmental ambience’, that is, instrumental sounds lacking in melody and rhythm but fitting the sound and feel of a location to evoke a certain mood, an essence, an atmosphere. Instead, the album takes the underlying rhythm, the core of the original songs and expands on it greatly to latch onto the dark energies flowing through the Space Pirate stronghold. Don’t be misled by the sample track – that’s honestly about as melodic as it gets. If you’re not into this sort of stuff, then you’ll probably be disappointed with the album – this isn’t orchestral and it’s not electronica, it’s a thick, oppressive aura of ambience that seeps into the core of your body and engulfs you into that universe. The musical narrative takes you on a journey through the darker reaches of Zebes, from the raid on the Space Colony and initial landing on Zebes, through the swampy area of Brinstar, to the Gold Statue Chamber, and into battle with the Spore Spawn. The second act is a complex, freeform weave of themes and textures from Brinstar, Maridia, and Norfair. However, it never comes to a firm narrative conclusion, producing a constant feeling of tension that is never resolved. In fact, there is little action and melody to punctuate the mood throughout the album, only periods of foreboding darkness relieved by sections of more dynamic melody. It’s recommended you use some good surround speakers or headphones to get the full range of the album. Though The Dark Side of Zebes doesn’t use any of the synth sounds from Super Metroid, Jason tried to replicate them through an arsenal of Reason patches. The similarities are most astonishing with the darker synth lines, particularly those of the Gold Statue Chamber, but the lighter, more melodic synths sound significantly different from those you may be used to hearing on Overclocked Remix and the like. For instance, the ‘xylophone’ synth that plays in the Brinstar and Item Room mixes sounds particularly distracting. Still, the darker synths hold a lot of weight and actually sound quite good. The album’s presentation is very sparse, featuring only a single sheet of paper with no info about the composer or the album – I had to contact Jason directly to get more information about it. The cover art though is excellent, depicting the dark purple haze of Zebes in eclipse. However, I would have liked a more original image for the back than the Horsehead Nebula. 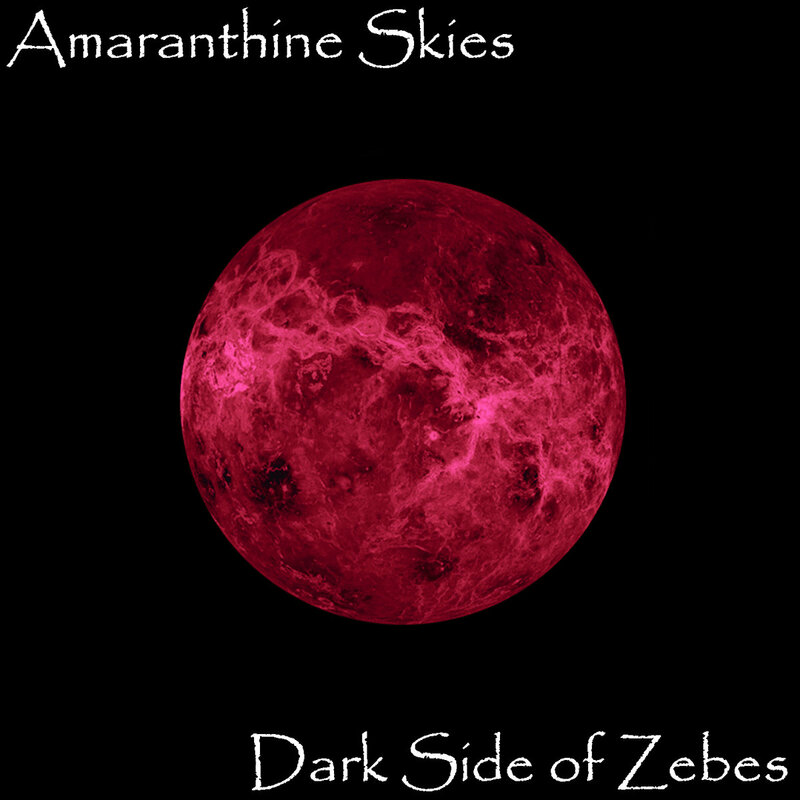 The Dark Side of Zebes is an interesting addition to one’s audio collection, though one you probably won’t listen to a lot unless you’re a big ambience fan. As such, I’m not sure how much I can stretch its purchase from a Metroid fan simply ‘for completion’s sake’ but if you enjoy ambience, this one’s probably for you. Still, at $10 it’s a pretty good deal for a Metroid album. Let’s hope it gets digitally distributed after the initial print run of 100 copies runs out. 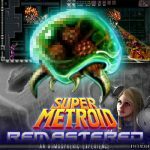 When TenchuX sent me an e-mail saying he was working on an arrange album of Super Metroid for Child’s Play, I first applauded, then felt reserved. While I am excited to see Samus once again helping children, I always approach a new Metroid album a little trepidation. This is because Super Metroid is a legendary game. Every single one of its 24 megabits was packed with high-quality art, music, and solid design that remains a benchmark to both the series and 2D gaming as a whole. That said, the first thing you’ll notice is Super Metroid Remastered is MIDI. Not flamboyantly so, but enough that the low-quality synths really stand out. If you’re used to hearing modern remixes, this is about ten years behind in terms of synths – we’re talking turn-of-the-century OCR. It’s a distraction, but that’s really what you get from FruityLoops and inspiration from VGMusic.com, VGM’s MIDI headquarters. That said, some instruments that really stand out, such as the choir, rock guitar, and shakuhachi. However, TenchuX manages to evoke the world of Super Metroid by incorporating sound effects, particularly in “Big Boss Confrontation( Ridley – Draygon) + Escape” and the Maridia pieces. He also smoothly bridges the tracks together, the most dramatic of which is the dreadful drop from the open Craterian surface of “Theme of Samus” to the haunted interiors of the “Wrecked Ship”. We don’t simply view each part of the world as an aural landscape, we are behind Samus’ visor as she delves into the depths of Zebes. There are some truly outstanding pieces, including old favorites such as “Brinstar (Overgrown with Vegetation Area)”. However, the album stands out through a novel rendition of “Norfair (Hot Lava Area)” with its eerie choir and progressive guitar march that evokes Holst’s The Planets. “Crateria (The Space Pirates Appear)” also makes a dramatic return with tense brass and clanking metal over a trance bass, but the best piece is “Maridia (Rocky Underwater Area)”, with a haunting shakuhachi flute, tremulous brass, and haunting choir, ending in ghostly sighs. This isn’t just Maridia; it’s Maridia full of ghosts. Despite these standouts, the majority simply lack vitality. Mostly the album is loyal, yet lacks the fire of the originals; it simply feels like we’re going through the motions, and here the synths become painful. Some of Super Metroid’s strongest pieces simply sound dead, particularly “Norfair (Ancient Ruins Area)”. 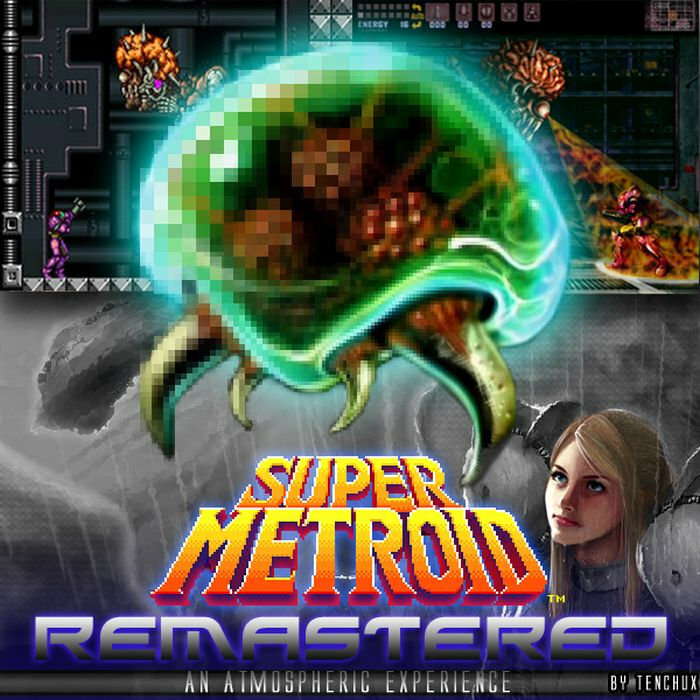 This is a terrible disappointment considering the ideas behind the album and what a great arrange Super Metroid can make. In the end though, TenchuX isn’t making this for himself: he has made it for both fans of game music, and more importantly, for Child’s Play. Here is where traditional reviews simply don’t apply because the idea behind Super Metroid Remastered, like all charitable donations, comes from the heart. And Child’s Play is certainly worth your dollars. Though the charity campaign ends December 22, TenchuX will continue taking donations for Child’s Play’s next drive in 2011. Released on the 19th anniversary of Super Metroid‘s Japanese debut, Blake Robinson’s Super Metroid Symphony is a masterful orchestral rendition of the series’s landmark soundtrack. Robinson, under the name Synthetic Orchestra, has previously rendered several games as high-quality computer-generated orchestral arrangements before tackling this fan favorite, and the results stand up to the original. If some oldschool Metroid fans were a bit disappointed with the electronica style found in the Prime series, Super Metroid Symphony will definitely satisfy – this is basically Super Metroid in concert. The samples used for this soundtrack are extremely high quality – about the closest you can get outside of the real deal (and Robinson frequently emphasizes their hand-made quality). There are even several remastered sound effects, such as rain, along with Samus’s starship and her death scream. Even Dan Owsen’s famous monologue has been redone, this time by a grizzled old man (perhaps Chairman Keaton?). The arrangements are often breathtaking, from the heroic overtones of “The Super Metroid Prologue” to the primal Stravynsky-esque discord of “The Space Pirates Emerge” (think the violence of Rite of Spring). Robinson’s rendition of “Green Brinstar” is superb, with a fittingly exotic selection of piano, xylophone, and bells that reek of jungle growth; if any track feels right out of an HD remake of Super Metroid, this would be it. Likewise, “Maridia’s Rocky Underground Water” sounds just like the original, with a haunting flute, ocean currents of brass and strings, and a choir hiding somewhere in the murky depths. Another longstanding fan favorite is “Norfair’s Ancient Ruins”, arranged here with a resplendent Spanish Bolero-esque style, rather than the Carmina Burana overtones of the original – you’ll feel like a Chozo warrior striding down the temple halls during Zebes’s glory days. Mother Brain’s theme is also predictably intense, with an apocalyptic pipe organ and hair-raising choir – this is horror at its finest! And finally, the ending theme has also given a much-needed boost – I always felt the last few seconds of the original were a bit forced, but Robinson extends them to a fitting conclusion. On the flipside, certain pieces, such as “Deserted Ceres Space Colony” and “Hostile Incoming” felt a bit repetitive, while “Arrival on Crateria” and “The Wrecked Ship” are repeated outright. Robinson wanted to show both renditions of each track, but it feels as if perhaps these might have worked better if they were arranged together in a single piece rather than as separate, adjacent tracks. One of the more disappointing arrangements for me was the “Ridley/Draygon Encounter”, which has a mysterious piano interlude that feels out of place. I just can’t picture a Ridley fight like that, and this melody is used again in the escape sequence. That said, Super Metroid Symphony is currently the finest rendition of the soundtrack you’ll find. While it has a few weak spots, this is exactly the kind of album fans have been imagining since we first heard Game Music Concert 4 way back in the 90s. Available for $10 from either iTunes or Loudr (the latter as DRM-free MP3 or FLAC) Super Metroid Symphony is well worth the purchase, another gold album for your Metroidmusic collection. Note: The Metroid Database would like to thank Blake Robinson for his kindness in providing us with a review copy of his album.